A special festive tour of the Pier Arts Centre Collection rounded off with mulled wine, mince pies and an informal discussion. 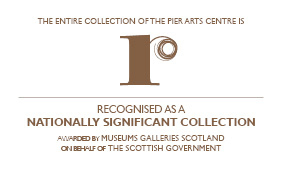 The tour will look at Margaret Gardiner (1904-2005), founder of the Pier Arts Centre, the Collection and artists, their lives, relationships and their significance within an international artistic context. The recent acquisition, Barbara Hepworth Two Forms (Orkney), forms a key part of the discussion and exploration of the Collection. The tour will be led by Lauren Henning, Gallery Programmes Trainee and will last approximately 45 minutes. Admission free, no booking required.